We all look for comfort when it comes to dressing up, and this combination of a brown knit open cardigan and a Building Block box shoulder bag is a great example of that. Wearing a pair of black chunky leather ankle boots is an easy way to add some flair to your ensemble. 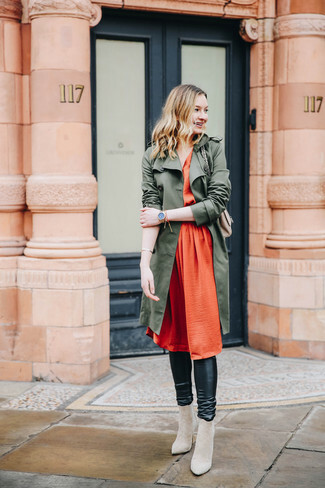 We all seek comfort when it comes to dressing up, and this combination of an olive military jacket and a beige leather crossbody bag is a vivid example of that. Sporting a pair of tobacco leather ankle boots is an easy way to add some flair to your ensemble. If you're obsessed with comfort dressing when it comes to fashion, you'll love this totally chic combo of an olive trenchcoat and a Building Block box shoulder bag from farfetch.com. You could perhaps get a little creative when it comes to footwear and lift up your getup with beige suede ankle boots. 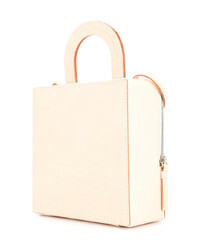 If you're a fan of relaxed dressing when it comes to your personal style, you'll love this super cute combination of a white crew-neck t-shirt and a beige leather crossbody bag. And if you want to instantly up the style of your look with one piece, add black leather heeled sandals to the equation. If you're a fan of comfort dressing when it comes to your personal style, you'll love this absolutely chic pairing of a black blazer and a beige leather crossbody bag. To add oomph to your ensemble, round off with black suede pumps. If you're all about relaxed dressing when it comes to fashion, you'll love this extra adorable pairing of a grey open cardigan and a Building Block box shoulder bag. 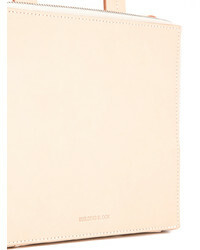 When it comes to footwear, this getup is complemented well with white leather flat sandals. 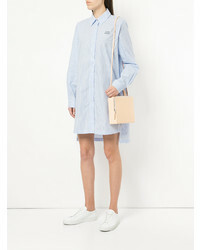 If you're all about relaxed dressing when it comes to your personal style, you'll love this stylish combo of a white and black horizontal striped long sleeve t-shirt and a Building Block box shoulder bag from farfetch.com. And if you want to instantly kick up the style of your look with one piece, add beige suede ballerina shoes to the mix. If you're looking for a casual yet absolutely chic outfit, wear a black tuxedo dress with a Building Block box shoulder bag. Both garments are totally comfy and will look fabulous together. 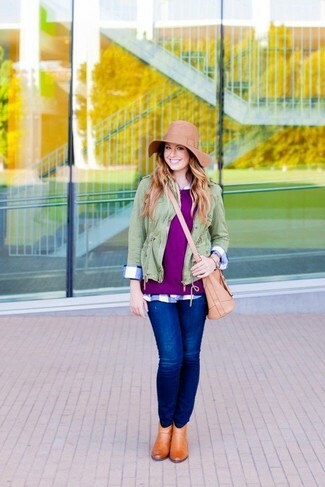 Wearing a pair of burgundy leather ankle boots is a simple way to add extra flair to your getup. If you're a fan of relaxed dressing when it comes to your personal style, you'll love this super cute pairing of a mustard maxi dress and a Building Block box shoulder bag from farfetch.com. Elevate your ensemble with beige suede ballerina shoes.